Kurt Osiander shows a powerful choke from side control where you change sides to add extra leverage when your opponent defends. The outspoken Kurt Osiander is one of the most well-known instructors in the world and certainly has a tough old school BJJ game. 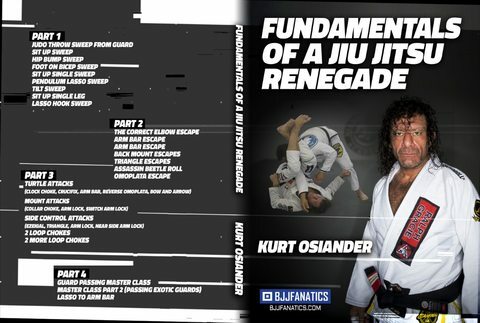 Kurt recently released his first instructional series for BJJ Fanaticsentitled Fundamentals of a Jiu Jitsu Renegade where he teaches his no BS and hard nosed approach to BJJ. Now grab yourself a copy of Fundamentals of a Jiu Jitsu Renegade and be sure to add code ‘BJJEE’ to get 10% off!